One of the biggest risks the transport industry faces on a daily basis is the chance of a fall. Falls from height are a major health and safety concern, and they happen every day, in the blink of an eye, during the course of otherwise very standard work. That's where the TRAM system comes in. Providing fall restraint or arrest protection as well as in integrated, adjustable handhold for stability and confidence - with the TRAM system, falls don't happen, plain and simple. No matter what your needs in the transportation industry, Standfast TRAM can keep your workers safe throughout the course of the crucial jobs they perform. Falls from height represent a major health and safety concern for the worldwide transport industry. The TRAM system provides fall restraint or arrest protection as well as an integrated, adjustable handhold for both stability and confidence for use in the transportation industry. Standfast developed its first TRAM safety system to protect road tanker drivers carrying bulk fuel, oil and dry powder. It was clear that workers in this industry were particularly at risk of falls from height and that the safety facilities typically provided on the tanker top did not prevent such falls. Watching serious injuries and deaths occur time and time again simply wasn't something we could do. So, we invented TRAM. Our unique safety system has had a significant impact on height safety in the petrochemical industry. 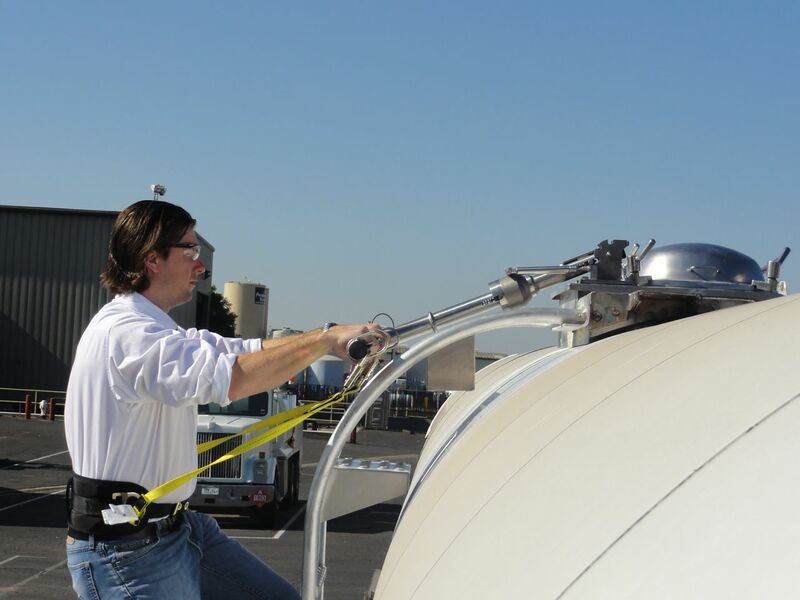 Conventional lifeline systems may snag on fittings on the top of the tanker, pulling the user off-balance and potentially accelerating their fall on to the tanker top. In contrast, should a worker connected to a TRAM lose their footing while on the tanker top, they will quickly be brought back to a position of safety with the lowest possible risk of injury and no risk of a fall over the side. No other safety system in the world offers the same level of protection. When connected to a TRAM you can not fall. Period. For orders or inquiries, contact us. Accessing and working on top of road tankers presents a major health and safety risk to employees. 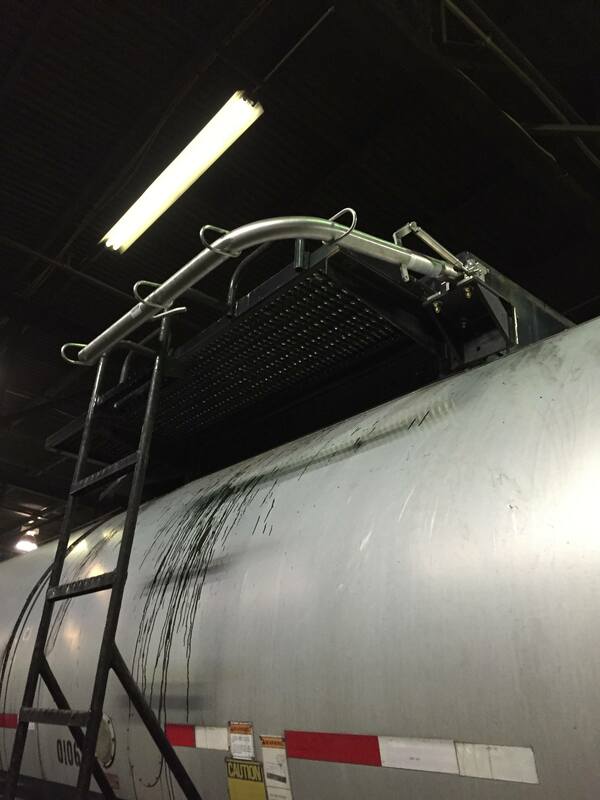 TRAM is currently being used in the waste management industry to prevent the risk of a fall when working on garbage trucks or industrial waste bins. TRAM allows the worker to securely access the entire upper portion of the waste transport unit and perform clearance inspections and maintenance without any risk of a fall – either over the side of the truck or into the waste receptacle. The level of protection you get with the Standfast TRAM system is simply unparalleled. For orders or inquiries, contact us. 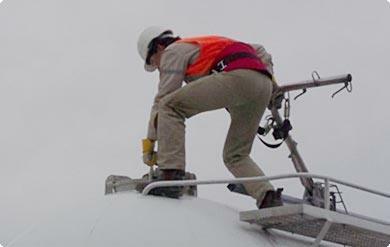 Workers on top of ISO containers are subject to similar fall hazards as those working on road tankers; both containers are similar in design and workers must perform a similar range of movement while working on them. To address this well-documented safety hazard, Standfast adapted its award-winning TRAM safety system for use on ISO containers. ISO TRAM negates the high risk of a fall from the top of an ISO container, allowing you and your employees to get home safely. For orders or inquiries, contact us. The proven TRAM Fall Protection System, with thousands of units installed worldwide, is now available for cranes. 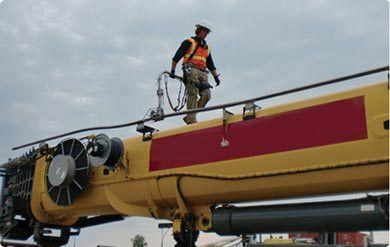 The TRAM system provides fall restraint or arrest portection as well as an integrated, adjustable handhold for both stability and confidence during both rigging and maintenance on all types of cranes including rough terrain, telescoping, lattice and bridge. For orders or inquires, contact us. TRAM can also be used in grain quality control as it allows the user to access the top of the truck in complete safety to take grain samples for analysis and grading. For orders or inquires, contact us. The TRAM system provides fall restraint or arrest protection as well as an integrated handhold for both stability and confidence for use in building and construction industries. 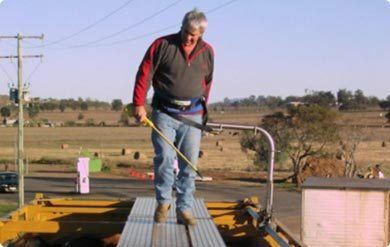 TRAM is the ideal safety system for preventing falls from height on earthmoving equipment, dozers, front-end loaders, cranes or gantries. The hazards of working on concrete agitators are well-known to those in the industry. TRAM prevents the risk of falling into the rotating bowl during a wash-out or when inspecting the mix. In all cases, the fall risk from an agitator is greatly increased by dust and wind combined with the shaking motion of the platform caused by the bowl’s rotation. The existing handrails are too low to prevent a fall under hazardous conditions. TRAM holds the worker securely in place while allowing the full range of movement required to complete all inspections, maintenance and cleaning tasks efficiently and effectively. No other safety system in the world offers the same level of protection. When connected to a TRAM, you can not fall. For orders or inquiries, contact us. 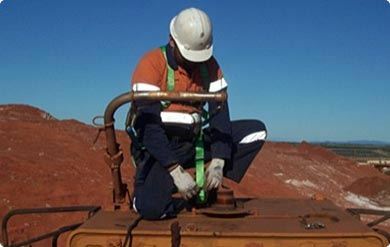 Reducing fatal accidents among mine workers is a concern for the mining industry worldwide. As the need to address mine safety issues becomes more pressing, those responsible for workers’ health and safety are turning to Standfast’s flagship product, TRAM. TRAM is the world’s best safety system for preventing falls from height on earthmoving equipment, dozers, front-end loaders, cranes or gantries . Our system allows riggers safe access to mobile crane booms, protects maintenance workers on gantry and bride cranes, and provides safe access to crucial equipment mounted on the cab roofs of mobile plant machinery. For orders or inquires, contact us. This system prevents workers from falling from height - eliminating the risk of serious injury or fatality related to falls entirely. That's the peace of mind you get with TRAM, and that's the peace of mind every business owner and employee in the transportation and mining industries deserve. MSHA supports the TRAM as an ‘Accident Prevention’ system for miners. 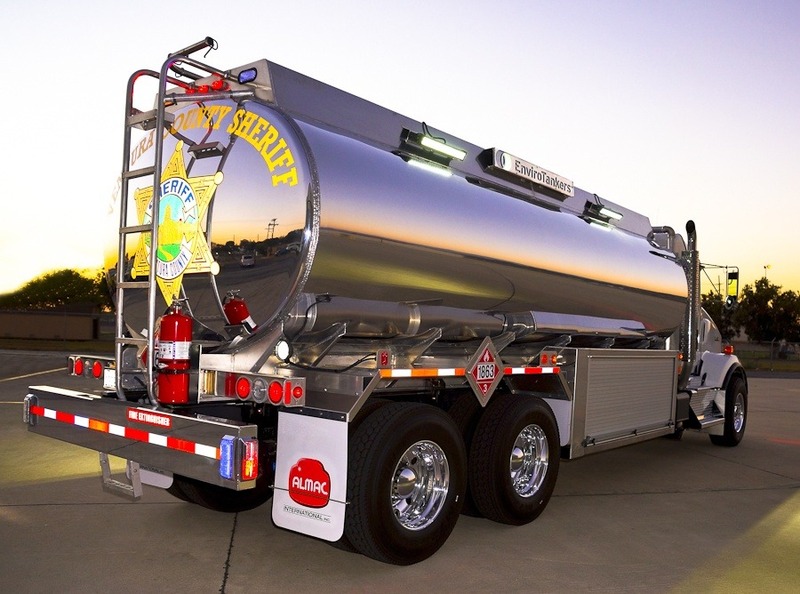 The TRAM system provides fall restraint or arrest protection as well as an integrated handhold for both stability and confidence for Milk Trucks. TRAM is the ideal safety system for preventing falls from height. For orders or inquires, contact us. The TRAM system provides fall restraint or arrest protection as well as an integrated handhold for both stability and confidence for Refuelers. TRAM is the ideal safety system for preventing falls from height. For orders or inquires, contact us. The TRAM system provides fall restraint or arrest protection as well as an integrated handhold for both stability and confidence for Asphalt Trucks. TRAM is the ideal safety system for preventing falls from height. For orders or inquires, contact us.